Over here at FRUK we love to take good care of our hair as much as we do our skin. As we all know, searching for the best hair products can be daunting. It is equally important to know your hair type and texture. Is your hair frizzy and thick, flat and fine, or just somewhere in between? Is your hair color-treated? Do you get split ends or fairy knots? Or maybe you’ve got dandruff problems? Whatever it is, worry no more. We’ve put together a selection of the best hair products you need to get your hands on right now. 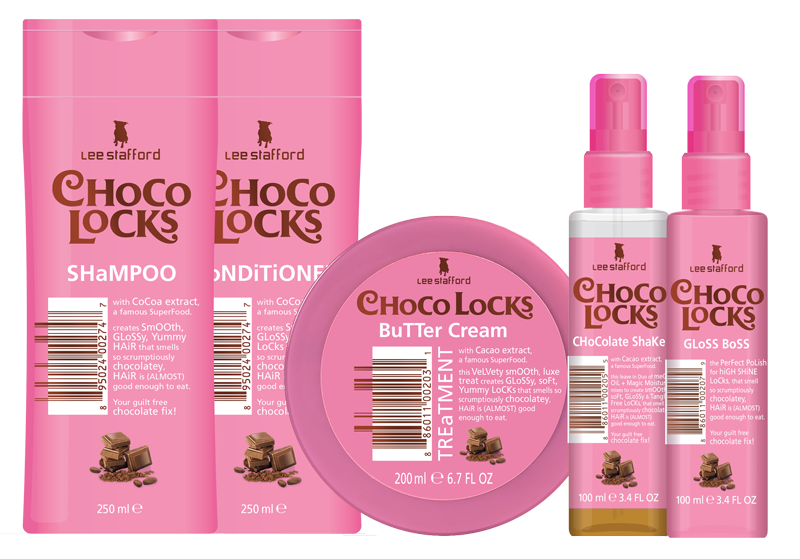 Chocolate just got serious with Lee Stafford’s new Choco Locks collection. One of our favourite is this Butter Cream Treatment perfect for starved strands. Formulated with cocoa extracts, antioxidants and vitamins. Penetrates deep into hair shaft to smooth the cuticle and revive dull, lifeless hair. Infuse My Colour shampoo adds colour pigment as you wash hair. Not only cruely-free, vegan friendly shampoo but also free from parabens, silicones and sulfates. Infuse My Colour refreshes, revives and tones coloured hair while completely eliminating dull faded hair. Transform your tresses with the Grow Gorgeous Repair Shampoo and Conditioner Duo. Formulated with an ultra-nourishing blend of extracts and vitamins to restore strength and vitality to locks, creating soft, healthy as well as shining hair from root to tip. Shea Moisture’s Raw Shea and Cupuacu Frizz Defense Gel Cream delivers texture and definition. Made with Amazonian Cupuacu Butter, Pistachio Oil, together with Raw Shea Butter for a long-lasting hold. This humidity-proof formula conditions and hydrates hair. Additionally, it allows you to create your desired style without stiffness or residue. The award winning One More Day Dry Shampoo is lightweight. An ultra-fine spray which refreshes and soothes the scalp. Eradicates excess dirt, oil and odour. With scalp friendly ingredients to help keep flakes and irritation at bay. Also adds volume and texture to hair. Tea Tree Wave Refresher Spray brings softness as well as natural texture back to life with instant manageability and fresh definition. Refresh hair with this unique blend of revitalizing tea tree oil, peppermint and shaved coconut fragrances. Ideal for all hair types.